1. 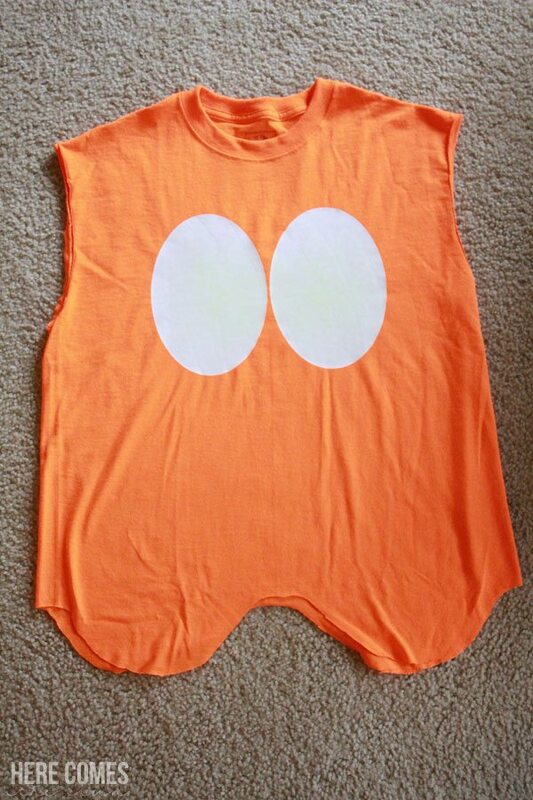 Cut off the sleeves of the shirt. 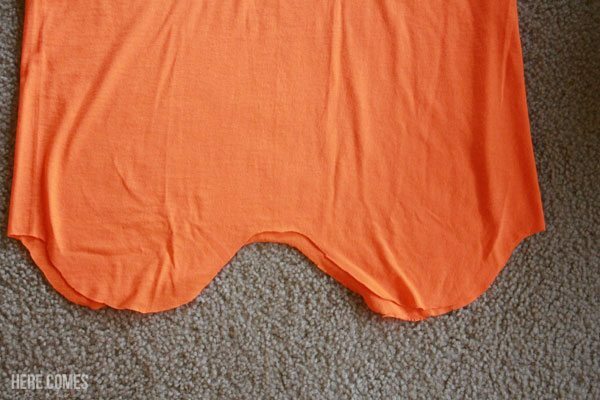 Cut the bottom of the shirt in a wavy pattern. 2. Using your Silhouette, create 4 ovals; two big and two small. These will be the ghost eyes. If you don’t have a Silhouette, you can just sketch the ovals onto the back of the vinyl. 3. Cut out your vinyl with either the Silhouette or scisssors. The larger ovals will be cut out in white vinyl and the smaller ovals will be cut out in blue vinyl. 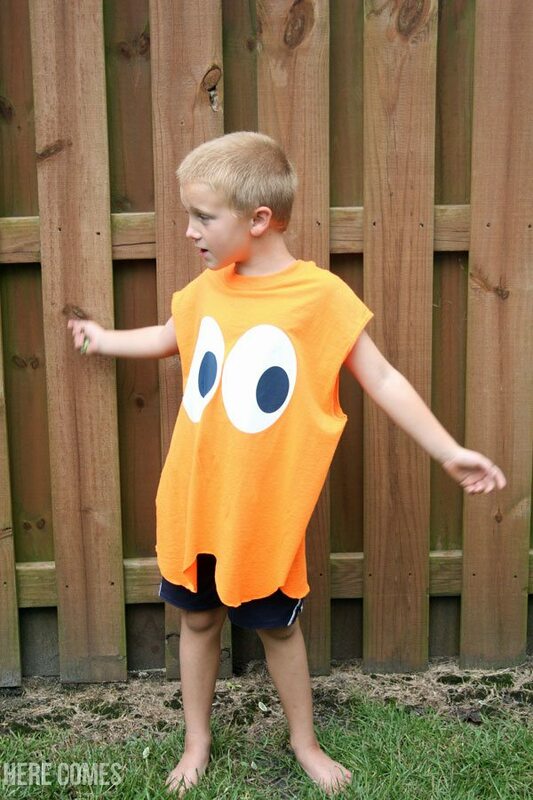 Here is a great tutorial for using heat transfer vinyl. 4. Place the white vinyl onto the shirt. 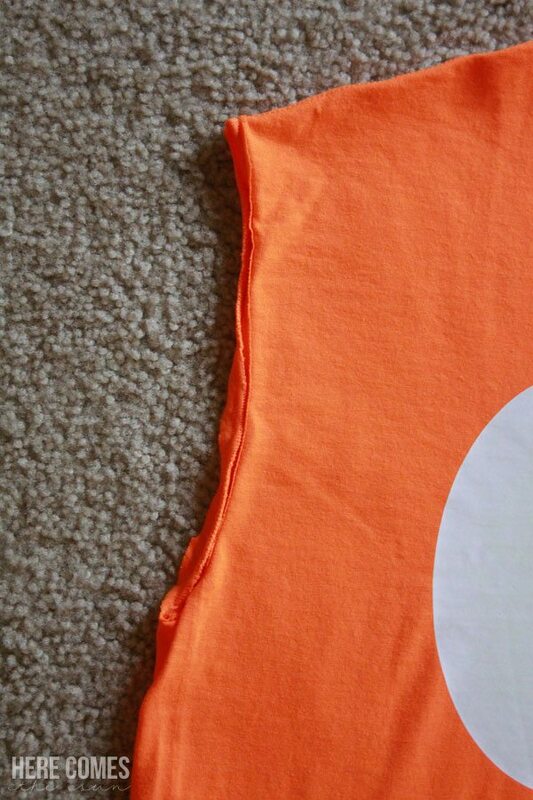 Place a press cloth over the vinyl and use the iron (no steam) to adhere the vinyl to the shirt. Press down for about 45-60 seconds and check to see if the vinyl is sticking to the shirt. If it is not sticking, press down for 45 more seconds. 5. Place the blue vinyl on top of the white and repeat step 4. 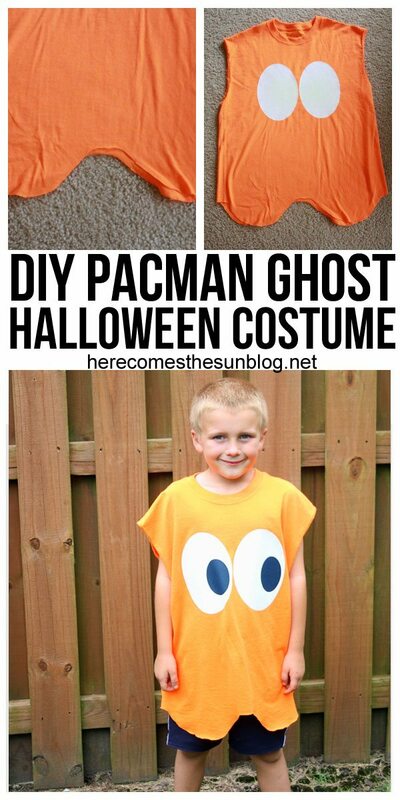 You are done with the easiest Halloween costume ever! This is my son modeling (?) the shirt. I don’t ask. I just let him do his thing. If you want to add a special touch, you can use glow-in-the-dark vinyl instead of white. Yes, glow-in-the-dark vinyl is a thing! 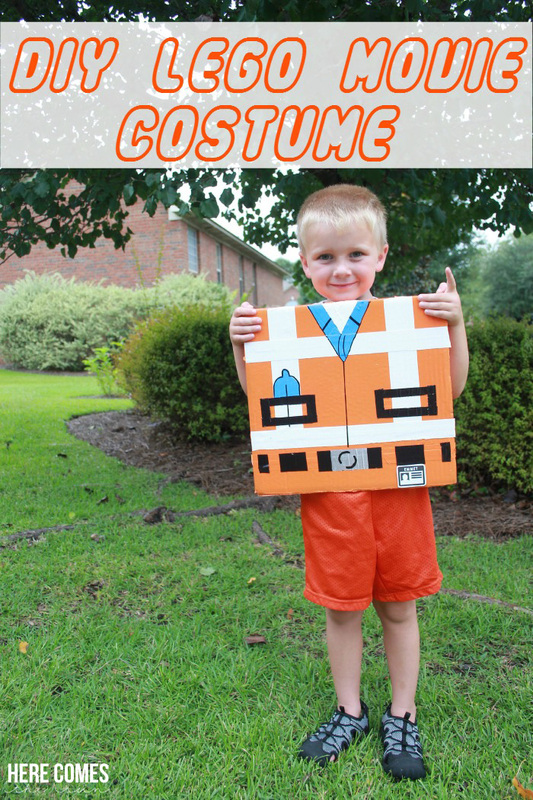 This is very useful when trick-or-treating because you can keep track of your kid! If it’s a bit chilly on Halloween night, just put a long sleeve shirt on underneath. It’s usually not cold here and I’m always worried about the kids being too hot in their costumes. But this costume is easily adapted to any weather. 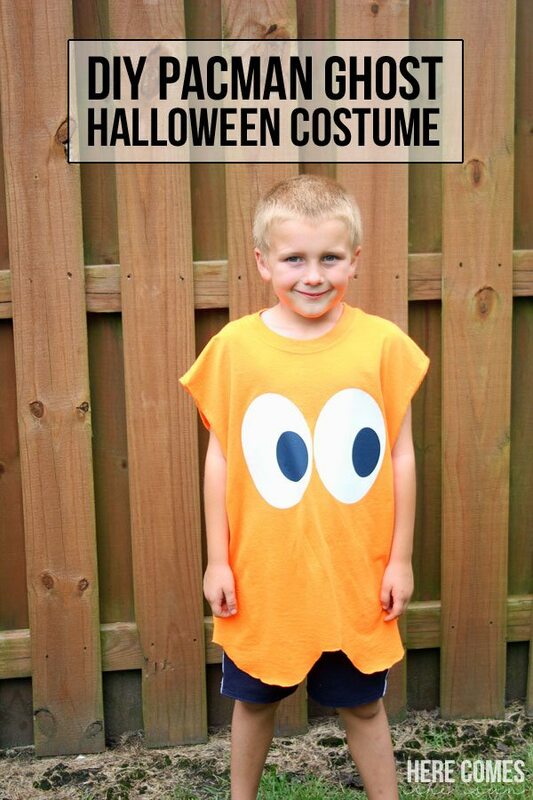 This is such a clever costume! I seriously might do this for my husband. He’s super low-key for Halloween! Kelly, this is so beautiful, these days kids are like this only, they are actually too young to understand how much time and efforts it takes to make costumes. You have done a great job, I am one of your blog avid readers and really liked this post http://www.herecomesthesunblog.net/diy-workout-tank-heat-transfer-vinyl/#comment-197733. Thanks for sharing this post. I would also like to invite you to my sewing community if you are interested and have time.